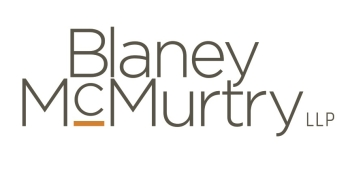 Appeal from a trial judgment holding that the appellant, “M”, as a former employee of Pitney Bowes, had no coverage for his claim under a Manulife LTD policy. M suffered a traumatic brain injury and a severe back injury during a company sponsored event in Costa Rica on April 16, 2005. M was unaware of the permanent and disabling nature of his brain injury until after he had resigned his employment with Pitney Bowes. Three issues were presented on appeal: (1) whether M, as a former employee of Pitney Bowes, was entitled to coverage under the Manulife Policy; (2) whether M submitted a timely proof of claim; and (3) whether the one-year contractual limitation period in the policy barred M’s claim. Following his accident, M was off work for nearly four months and returned to work in August 2005. From the history set out in an Agreed Statement of Facts M’s work performance deteriorated dramatically from what it had been. Paragraph 2 of the Agreed Statement of Facts set out M’s employment history for the years preceding the accident where, between 1996 and 2005, he rose through the ranks, from junior sales representative to Division Sales Vice President at Pitney Bowes, managing over 130 sales representatives. M “was a different man when he returned to his employment following the accident”. Paragraph 5 of the Agreed Statement of Facts set out the difficulties M encountered in resuming his employment. M’s responsibilities were continuously reduced and in frustration he quit his job at Pitney Bowes on August 11, 2008. Within days he took up employment with Samsung to perform a role similar to the one he held at Pitney Bowes before his accident. The difficulties M experienced in job performance before leaving Pitney Bowes soon became apparent and he was fired from Samsung in August 2009. M asked Samsung about making an LTD Claim and was told that, because his injury occurred when he was working for Pitney Bowes, he would have to apply under that policy. (Note: It is unclear from the Court of Appeal’s decision if Samsung had a group LTD Policy or if such Policy precluded any argument of coverage under the Samsung Policy). There was no issue that M had coverage with Manulife while he was employed. Manulife argued that: “M had access to LTD benefits if he applied while he was employed and, therefore, covered. Once he was outside of this coverage and/or failed to meet the Policy’s terms, he no longer had entitlement to claim”; and that “the Policy indicates that coverage ends when employment ends”. The trial judge accepted this argument. She concluded that the Policy “states in clear terms that there is no coverage for persons who are not employed at Pitney Bowes”. “The language of the Manulife Policy when considered as a whole is clear; it means only that coverage does not continue when an employee begins working for another employer or after the employee has retired. The “Termination of Coverage” language relates to future claims, not claims that may have arisen during the course of the employee’s employment. In other words, if an employee’s claim arises as the result of an occurrence that takes place during their employment, the policy provides coverage. The additional words “unless continuation of coverage is provided under the Extension of Coverage provision” supports this conclusion. A monthly Benefit will be paid if you become Totally Disabled while covered under the Long Term Disability Coverage and are under the continuing care of a physician. The language of this provision confirms the entitlement to be paid a monthly benefit if the total disability occurs during the coverage period. I note that this provision contains no language indicating that it applies only to current employees. Where the language of a policy is ambiguous, the general rules of contract construction must be employed to resolve that ambiguity: Ledcor v. Northbridge  S.C.R. 23, at para. 50. These principles include that the interpretation “should not give rise to results that are unrealistic or that the parties would not have contemplated in the commercial atmosphere in which the insurance policy was contracted”: Ledcor, at para. 50. If ambiguity still remains after applying the general principles, then the principle that coverage provisions are to be interpreted broadly, and exclusion clauses narrowly, may be considered: Ledcor, at para. 51. These principles do not support Manulife’s position. The Manulife Policy does not contain the type of exclusionary language that terminates coverage for undiscovered disability claims the employee had and that originated during their employment, when their employment ceases. To so conclude would leave former employees, like the appellant, in the untenable position of having no disability coverage from either their former employer or any new employer. Such a result would be contrary to the very purpose of disability insurance and the plain meaning of the coverage provision. It would be most unfair, in my view, to permit the imperfect compliance with the 90-day proof of claim period to defeat the appellant’s claim in the particular circumstances of this case. The appellant was injured during his employment when he was covered by a LTD Policy, but did not appreciate the significance of his injury during his employment. The respondent has conceded the appellant’s total disability as of the date of the accident and that he enjoyed coverage under its policy at the time of his injury. The appellant left his employment some time after he was injured but before he was aware of the extent of his injury. The imperfect compliance with the requirement to file the proof of claim form may only be a matter of 10 days at most. His employer and the insurer were aware that he had suffered a serious injury that included a brain injury at the outset. All of the foregoing facts have been known to the parties for years now. Although relief from forfeiture pursuant to the provisions of the Insurance Act, R.S.O. 1990, c. I.8, or the Courts of Justice Act, R.S.O. 1990, c. C.43, was not raised at trial, given the facts outlined above, it is in the interests of justice to grant that relief here. It is arguably unclear whether the policy language required the appellant to commence this action within one year of November 1, 2010, the date that Manulife denied the claim, or whether the one-year period runs from September 9, 2010, the actual date the proof of claim was submitted. Because the Statement of Claim was issued on April 11, 2011, it is not necessary to resolve that question as regardless of how the one-year contractual period is to be calculated, it was met on the facts of this case. In any event, in view of this Court’s decision in Kassburg v. Sun Life Assurance Company of Canada, 2014 ONCA 922 (CanLII), 124 O.R. (3d) 171, it is unlikely that the one-year period of limitation would be upheld: see paras. 53-62. The only reasonable available conclusion on this record is that the appellant could not reasonably have appreciated he had a cause of action until the end of August 2009. The claim was therefore not discovered until that time. Even on that basis his action was commenced well within two years of that date. I would also note that he did not receive his CPP disability pension until May 2011”. The parties agreed on a settlement of an LTD lawsuit for $173,000 all-inclusive in exchange for a full and final settlement of the plaintiff’s claim and lawsuit and “a full and final release of Manulife’s choosing, releasing the group policies in question”. Should the Releasor return to work for the policyholder, another employer or for herself within 5 years from the date of signing this “full and final” release by the Releasor, the Releasor shall advise the Releasee of same and the Releasor hereby agrees to reimburse the Releasee for any monies earned by the Releasor within the said timeframe. The plaintiff refused to sign the clawback clause portion of the Release and brought a motion to set aside the Order that the lawsuit be dismissed on the basis the case had not been settled. Held: For the plaintiff. The motions judge held that the clawback condition was an addition added on by Manulife to what had been agreed to between counsel in their e-mail exchange settling the lawsuit. The motions judge cited case law (Cellular Rental v. Bell Mobility  O.C.J. No. 721) that held that no party is bound to execute a complex or unusual form of release and the terms of the release must reflect the agreement reached by the parties. NOTE: The Trumble decision is unreported with reasons being given orally. For a transcribed copy of the Decision, please contact Eric. This decision might be best summarized as why demanding, non-co-operative plaintiffs should not take LTD cases to trial and certainly not where such plaintiff decides to self-represent. The full trial decision runs 248 paragraphs and shows the Court’s obvious dislike of both the plaintiff and his actions. Portions of the case are cited below but really only to whet the appetite. In short, plaintiff counsel should be wary of representing plaintiffs who feel they know more than their medical doctors, who threaten their own G.P. if such G.P. does not write a certain letter to the LTD insurer, and who do not understand why their LTD insurer needs financial records to assess residual disability. The plaintiff, (“Dr. W”), asserted he was entitled to income replacement benefits under a group policy of insurance between Sun Life and the Canadian Dental Association. Dr. W asserted that his entitlement to benefits arose as a result of injuries he suffered in an accident (the “Accident”) while he was skiing on December 18, 1993. Dr. W said these injuries rendered him first totally disabled and then residually disabled from carrying on his occupation practicing dentistry as a general practitioner. The benefits to which Dr. W said he was entitled exceeded $1.5 million. Dr. W sought judgement for what he claimed were the unpaid benefits, as well as aggravated damages and other relief. Sun Life denied that Dr. W had been either totally disabled or residually disabled (as those terms are defined in the Policy) at any time after March 2000. Moreover, in their counterclaim, Sun Life sought to recover approximately $100,000 in income replacement benefits paid to Dr. W for the period from March 1, 2000 to October 31, 2001, on the grounds that Dr. W was not totally disabled during that time and actively concealed and misrepresented both his condition and activities. The defendants said that Dr. W’s conduct also justified an award of punitive damages. b) to perform the essential duties of his Regular Occupation for as much time as those duties usually require. The G.P.’s (Dr. Henderson) notes reflect the history he was given about how the Accident occurred, including that Dr. W told him he landed heavily on his left side and was having “a lot of pain”. There is no mention that Dr. W suffered a concussion, and Dr. Henderson testified that he would have recorded it if Dr. W had reported it to him. This would be consistent with Dr. Henderson’s general practice. Dr. Henderson recorded that (on examination) Dr. W had considerable bruising on his left arm, a slightly tender left lateral clavicle and also that Dr. W “had very little abduction”. Dr. Henderson encouraged D. W to use a sling, and wanted him to come back in one week. On examination, Dr. Henderson noted that D. W seemed tender over the left radial head (i.e. at the elbow). He ordered an x-ray, which he expected would probably be normal. He recommended that Dr. W continue to use a sling and to see him in “two weeks as advised”. Dr. W never returned. The x-ray ordered by Dr. Henderson was normal. According to Dr. W, despite suffering from his injuries, he returned to work, although only part-time and despite having his left arm in a sling. He explained that the practice was very busy just before Christmas, and he needed to be there to look after patients. With the help of assistants, Dr. W did what he could. However, according to Dr. W, the pain was becoming worse and he felt that he was unable to perform any procedures at all. He explained that he had to refer many patients out to other dentists, and was unable to accept any new patients. According to D. W, he continued to “limp along” in his practice. However, according to Dr. W, he realized (although without the benefit of any advice from or further examination by a physician) after about six weeks that things were not getting any better. As he recalled, he was having considerable pain in his low back and his shoulder, and his left arm was still in a sling. As Dr. W recalled, he was also having headaches and neck pain, and finding it very hard to do even the minimum amount of dentistry, although he was trying. According to Dr. W, some of his staff began looking for part-time work because he was cutting back, and some of his patients were also going to other dentists. He recalled realizing that if things continued this way much longer, the goodwill and value of his practice would evaporate. He explained that he then decided he better put his practice on the market and sell it, or at least get the process underway. According to Dr. W, around this time (about six or so weeks after the Accident), he began thinking very seriously about a career change. He concluded that the best choice would be to become a prosthodontist (one of the specialties in dentistry), and also get an education degree, with the idea that he could teach and also work part-time for higher fees than he could charge as a general dentist. According to Dr. W, in 1994, he was still suffering symptoms in his neck, back, shoulder and arm, which he attributed to the Accident. Although Dr. Henderson had recommended physiotherapy, and Dr. W went to the office of a physiotherapist, he never had any treatment because he felt it would be too painful. He did not see Dr. Henderson or any other physician between December 30, 1993 and when he left B.C. for California in 1995 to attend school. Before the Accident, Dr. W had seen a chiropractor, Dr. Turner, from time to time for treatment for low back pain. After the Accident, Dr. W saw Dr. Turner twice, once in March 1994 and once in December 1994. The March visit was (according to Dr. W) in relation to symptoms Dr. W was having in his shoulder, while the December visit was for more general treatment. In early July 1994, Dr. W wrote to the Canadian Dental Service Plans Inc. (“CDSPI”), in relation to making a disability claim. Dr. W’s dental practice in Abbotsford was eventually sold in March 1995. Shortly after the sale of the Abbotsford practice, Dr. W relocated to California. According to Dr. W, he moved to Thousand Oaks, about an hour’s drive from Los Angeles, and began his prosthodontist program at USC. Dr. W recalled that, once settled in Thousand Oaks, he saw a doctor, and told him about his problems. According to Dr. W, he asked such physician for a referral to an orthopedic surgeon, and was referred to a Dr. Gross. As Dr. W recalled, he had chiropractic treatment and physiotherapy at Dr. Cassar’s clinic in California “for years”, until 2001. According to Dr. W, Dr. Cassar also referred Dr. W to another orthopedic surgeon, Dr. Larsen. As Dr. W recalled, he saw Dr. Larsen a couple of times or “periodically”. In the Preliminary Claim Form (to Sun Life), Dr. W stated that “Partial Disability” commenced in December 1993 and “Total Disability” commenced on April 15, 1995. I find that Dr. W was intending in the Preliminary Claim Form to submit two separate claims for benefits: first, for benefits on the basis that, for the period beginning April 15, 1995, he was “Totally Disabled”, and second, for benefits on the basis that, for the period beginning in December 1993, he was “Residually Disabled”, as those terms are defined in the Policy. I have no doubt that Dr. W understood that his disability needed to be substantiated medically, and I find that was his reason for seeing Dr. Larsen and requesting a report from him. However, his delay in providing the information to CDSPI (for Sun Life) meant that his claim for Total Disability benefits could not be completely adjudicated. Dr. W may have felt that he should be receiving benefits without this information (and his correspondence to CDSPI indicates a high level of frustration and unhappiness with the process). But his own conduct in failing to provide information that Sun Life was entitled to have under the Policy did nothing to facilitate his receipt of benefits. By letter dated December 4, 1996 from Sun Life, Dr. W was informed that Sun Life had completed its assessment of his claim and that benefits had been approved to November 23, 1996. Although Dr. W was now receiving income replacement benefits, the date of disability (June 24, 1996) that Sun Life determined (based on Dr. Larsen’s report) was not acceptable to Dr. W, at least with respect to his claim for benefits on the grounds that he was Residually Disabled. His view was that the appropriate date was the date of the Accident. Dr. W wrote to Dr. Henderson again on May 26, 1997. He described (from his perspective) the conclusions that had been reached by Dr. Larsen and Dr. Cassar, and told Dr. Henderson that he had been informed by CDSPI that, if he could obtain a written report from the doctor who examined him after the accident (namely, Dr. Henderson), he should be able to claim benefits (i.e. benefits on the basis of a Residual Disability) in accordance with the drop in his net income after the Accident. Dr. W was also communicating with Sun Life concerning his claim. As of July 1997, Dr. W had not provided any income tax returns, notices of assessment or other financial information that Sun Life had requested, apart from the basic information in his Preliminary Claim Form. In a letter dated March 20, 1997, Sun Life informed Dr. W that the information requested in its December 4, 1996 letter had not been received and renewed its request for this information. One of the things Dr. W wanted Dr. Henderson to say was that x-rays showed a compression fracture of the head of the radius. At trial, Dr. W was quite insistent that he had suffered such an injury in the Accident. However, no such diagnosis was ever made by Dr. Henderson, who had noted the relevant x-ray as normal. Sun Life wrote again to Dr. W on September 2, 1997. The letter informed Dr. W that (as far as Sun Life was concerned) the medical information on his file did not support an earlier date of disability. Moreover, as of September 1997, Dr. W had not provided any of the tax returns, notices of assessment or other financial documents Sun Life had requested. Although, through Dr. Henderson’s September 15, 1997 letter, Dr. W had provided Sun Life with medical grounds to say the disability date for his claim for Residual Disability benefits should be in December 1993, Dr. W still did not provide any of the financial information that had been requested by Sun Life, and that was relevant to that particular claim, His complaint that Sun Life owed him money and was acting in bad faith is misplaced. However, as of the end of June 1998, Dr. W had not provided Sun Life with any of the financial documentation requested, or any other relevant financial information. Dr. W’s credibility and reliability are significant issues in this case. The Accident occurred over 20 years ago. With respect to Dr. W’s injuries from the Accident, there is very little objective evidence. The medical evidence (from Dr. Henderson and Dr. Keith Christian, one of Sun Life’s experts) strongly suggests that Dr. W ought to have recovered from the fracture to his left humerus within a period of months. With respect to Dr. W’s pre-Accident income (an important issue in relation to his claim for Residual Disability benefits), there is no reliable, contemporaneous, independent evidence: no income tax returns, no notices of assessment. From the time Dr. W submitted the Preliminary Statement of Claim Form, Sun Life asked for this information. I have concluded that Dr. W is neither a credible nor a reliable witness. The issues in this case are not about whether, for example, Dr. W has experienced or experiences disabling back and neck pain, or disabling pain generally. Rather, with respect to Dr. W’s claim for income replacement, the question is whether Dr. W is “Totally Disabled” as that term is defined by the Policy. Similarly, with respect to Dr. W’s claim for income replacement Residual Disability benefits, the question is whether Dr. W is “Residually Disabled” as that term is defined by the Policy. I find that, in the Accident, Dr. W suffered a fracture of his left humerus, and had associated pain and discomfort in his left shoulder, arm, neck and back. I find, based on Dr. Christian’s opinion evidence, that the fracture probably healed within a maximum of eight weeks and was not the cause of any ongoing disability or impairment. In effect, Dr. W argues that his condition was permanent and untreatable, so being under regular care of a physician was pointless. In my opinion, that same analysis applies based on the wording of the Policy (which includes a specific provision that proof satisfactory to Sun Life of continued disability may be requested by Sun Life at all reasonable times). Dr. W has the burden of showing that, during the period after October 2001 and to trial, he was still being regularly treated by a physician as a result of Injury. I find, therefore, that Dr. W has not met his burden to show that, since October 2001, he has been under the regular care of a physician ”as a result of an Injury suffered in the Accident. Rather, the evidence supports the conclusion that Dr. W has not been under the regular care of a physician. As a result, Dr. W has failed to meet the burden on him to prove that he is “Totally Disabled” as that term is defined in the Policy, and therefore he has failed to prove that he is entitled to coverage under the Policy for income replacement benefits for the period beginning November 2001 to date. I find that Dr. W in fact failed to provide sufficient financial information and documents to quantify any amount of Residual Disability benefits that might be payable for the period from December 18, 1993 to March 23, 1995. In my opinion, Dr. W’s failure to make the necessary financial disclosure is fatal to his claim for Residual Disability benefits for this period. His failure made it impossible for all practical purposes to establish his pre-disability Average Monthly Earned Income. Sun Life repeatedly requested Dr. W to provide financial documents and information, including in particular tax returns and notices of assessment. I find that Dr. W’s failure to provide the financial information requested by Sun Life caused the delay in Sun Life adjudicating this part of Dr. W’s claim, and ultimately made it impossible to adjudicate. Dr. W must have been well aware that his claim for Residual Disability benefits required both medical information and support and financial information and support. The B.C. Court of Appeal found that while the trial management Judge had made some procedural errors “the effect of these errors did not change the outcome at trial because none of the excluded evidence would have established that the appellant was under the regular care of a physician during the applicable time period”. After being injured in an accident, the plaintiff claimed LTD benefits under an employer provided insurance policy pursuant to the terms of the collective agreement. Manulife accepted the plaintiff was unable to perform duties of his own occupation and paid benefits to the C.O.D. date, but terminated at the change of definition date. Plaintiff initiated grievance under collective agreement. Shortly before grievance was scheduled to be heard, plaintiff commenced action against Manulife claiming damages for denial of benefits. Grievance was settled between employer and union shortly thereafter under the collective agreement providing $30,000 for non-pecuniary damages for breach of duty to accommodate continuing disability, $31,800 for loss of income and $5,000 for drug costs. Settlement Agreement specified that settlement was not intended to preclude plaintiff from pursuing claim against Manulife. Manulife brought motion to dismiss action on the basis that the Court lacked jurisdiction to deal with claim arising out of and governed by collective agreement. Collective agreement imposed contractual obligation on employer to provide and pay 75 per cent of premium for LTD coverage through named plan or equivalent. Article 15 of collective agreement gave employees right to grieve any dispute about entitlement. Issue of plaintiff’s entitlement properly fell within second category referred to in authorities that any dispute was properly within jurisdiction of arbitrator. It was arbitrable matter for which arbitrator could have imposed legally binding remedy.